Philippa Hyde commenced her singing studies with Ann Lampard and continued under the tuition of David Johnston and Yvonne Minton CBE at the Royal Academy of Music. She graduated with the coveted Dip RAM in 1993. In 2001 she was awarded the ARAM, an honour granted to past students of the Academy who have achieved distinction in their profession. Philippa is an experienced recording artist. In 1995 she became a regular soloist for Hyperion, for whom she created the role of Semira in the first performance for nearly 200 years of Arne’s Artaxerxes, which was also broadcast live on BBC Radio 3. Her busy and varied concert, operatic and oratorio career has taken her all over Europe and to many of its major concert venues and festivals, such as The Usher Hall, Edinburgh, The Philharmonic Hall, Liverpool (with Sir Simon Rattle), The Bridgewater Hall, Manchester, The Symphony Hall Birmingham (Richard Hickox), Southbank Centre, Wigmore Hall London and the Palau de la Musica, Barcelona (Robert King, Sir Roger Norrington). She has performed with many of the leading Period orchestras and ensembles and is also a member of the group The Musicke Companye, which performs choreographed programmes using Period instruments. More information can be found at www.themusickecompanye.com. Recent engagements include a tour of Purcell’s Dido and Aeneas to Libya and China with the Academy of Ancient Music and a performance of Handel’s Messiah in Valetta with the Malta Philharmonic Orchestra. Philippa has recently released a CD with the Parley of Instruments entitled “Musical London”. 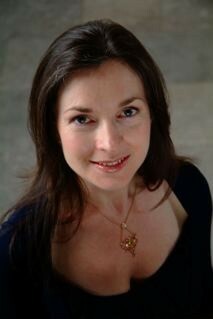 In November 2010 she made a recording of Christopher Gibbons with the Academy of Ancient Music, for Harmonia Mundi. From 2003-2011, Philippa taught Period Performance at The Royal Northern College of Music and from 2009-2011, singing at Leeds University.